Imagine being able to enjoy surround sound quality music while taking a road trip, or relishing the uninterrupted narrative of your favourite audio book while on your way to work. That’s exactly what you get with an external car amp and more. A car amp allows you to connect multiple speakers to your system, including powerful subwoofers that can really bump up the sound in your car. Not only that, with a car amp, you don't have to worry about sound distortion, as it smooths out the sound and synchronises it for seamless delivery. The Rockford car amp is quite a popular model, with 5 channels and 600 watts worth of output capacity. You can use this to run a complete sound system in your car, complete with multiple speakers and a powerful subwoofer. Each of the four speaker channels can handle up to 75 watts of power, while the subwoofer channel can handle up to 300 watts into 2 Ohms. This amp proves that dynamite truly does come in small packages. It delivers seamless and uninterrupted sound with immediate effect, and comes with separate controls on the front and the rear. 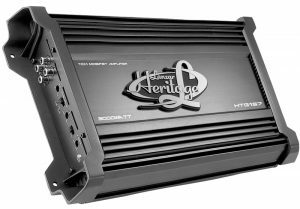 This is ideal for anyone wanting to completely replace their car amp system in lieu of something more comprehensive. That said, this car amp generally goes well with a lot of different car speaker brands, and it comes at a really attractive price point. · This amp comes with a crossover output so you don't have to worry about a sub-output, which means that you can connect a subwoofer even if your car doesn’t currently have an RCA output. · It comes with a 1 year standard warranty, granted that you purchase it from a reputable and authorised dealer. · Unfortunately this doesn't come with connection wires to hook it up to your speakers, which means that you'll have to purchase those on your own. · The amp will heat up and may even smell like burnt electronics as you start to push its limits because it doesn't come with a cooling fan, so there's definitely room for improvement there in terms of the technical design. This will be especially true if you enjoy turning the sound all the way up. · Some reviewers complained that the unit lacked longevity, and would break down after a year or so of continuous, everyday use. This Hifronics amp comes in a snazzy metallic grey design and the internal mechanics definitely don't disappoint either. The sound delivery is so powerful that your car will literally bop to the beat as you push it to its limits. It also has good signal to noise ratio of 91 decibels and THD levels to protect against sound distortion, and makes for awesome sound quality. And the brand conscious will appreciate the illuminated Hifronics Badge on the top of the unit. It's also really compact and can easily fit on your dash board, especially with the Hifronics Surface Mount Design, which makes it super easy to install. With this amp, you can rock with the best of them, with up to 2000 watt output capacity and 4 channels that can handle 500 to 1000 watts respectively. To be more specific, it can handle 500 watts at 2 Ohms and 250 watts at 4 Ohms. To mitigate against the effects of such powerful sound, it also comes with Thermal and Overload protection, and is guaranteed not to short circuit on you while enjoying your favourite tunes. It also comes with useful crossover configuration that allows you to use it on its own or incorporate into a larger sound system. All in all, this is a really impressive amp that delivers out of this world sound and it'll definitely take your music listening sessions in the car to a whole other level. · Hifronics have truly outdone themselves with this super durable amp that delivers on consistency and quality with performance that stays winning all the time. It really does pack quite the punch. 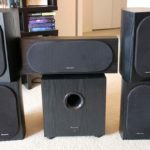 · This comes at a really great price point, especially considering the amazing sound quality that it delivers. · It can be paired with almost any type of speaker, and can handle up to 4 audio outputs, at either 250 watts in 4 Ohms or 500 watts at 2 Ohms. · With this amp, you won't have to worry about overheating issues, as it comes with thermal and overload protection features, and it will continue to play like new after years of continuous use. · The sound coming from this is squeaky clean, with incredible low distortion ratio that will impress even the seasoned audio heads. · The instruction manual can be a bit difficult to understand, and key information has been left out that would make it otherwise clearer and easier to understand. · This amp will blow the tweeters off of small speakers, so be sure to pair it with equally powerful speakers to get more out of it. If you're looking for reviews on the best car speakers click here. This is another solid offering from Rockford Fosgate's technical team, this time a single output mono amp with a sleek design and loads of power. It comes with 1 channel for you to either connect a 1 Ohm mid-level bass speakers or powerful 2Ohm DVC subwoofer with ease. It can handle 150 watts at 4 Ohms, 300 watts at 2 Ohm and 500 watts at 1 Ohms of dynamic sound power. The amp benefits from its single channel output by delivering a richer and undistorted sound, much better than what you'd get from a multi-channel counterpart. You can basically hook this up to anything, even adding videos and photos if you like, and the bass boot allows you to modify the bass to your liking, and it's able to sound impressive even at a low volume. The signal to noise ratio is a decent 80 decibels, which is all you need for a unit this size and it's a really light weight device. Of special mention here is the incredibly clean and powerful sound quality. Overheating will definitely not be an issue here as well, as this amp comes with short circuit protection and a cast aluminium heat sink. Overall, great value for money at a price you just can't beat. · Setup here is simple and easy, anyone can do it. You can easily synchronise it with the rest of your car stereo through the built-in phase switch, and the user's manual is really easy to understand for a step-by-step setup. · It comes with short circuit and overcurrent protection so you can definitely push it without worrying about overheating problems. · You can rest assured knowing that your amp is protected with a 1 year standard warranty, with the option of an additional 1 year extended warranty included in the package. This protects you against malfunction issues, although it doesn’t extend to your speaker and will not cover you for damage that results from faulty servicing from an unauthorised technician. · The sound delivery is crisp and compelling and provides a truly moving listening experience. · It's surprisingly versatile, with the ability to pair with one DVC sub in 2 Ohm or two 4 Ohm DVC subs in 1 Ohm load, which will really bring the best of this unit. 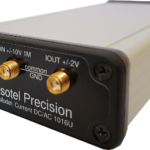 · Unfortunately this doesn't come with a remote Punch Level Control like most other Rockford units, which makes it more tedious to operate it. · This amp is not very durable, as some reviewers complained of it malfunctioning after a few months of use. So pushing it to its limits sometimes limits the durability as well. With this amp, you can enjoy up to 1000watts in 1 Ohm of powerful sound delivery just from a single channel output, although it does have good Ohm flexibility and can easily handle 2 Ohm and 4Ohm as well. It's super easy to connect your subs or speakers here, with low resistance nickel plated RCAs that make for simple sound channelling. Thermal protection with DC offset protects against short circuiting and heat overload, while LED power and protection indicators make it easy for you to operate and get the most out of this dynamic amp. It can handle 400 watts at 4 Ohms, 700 watts at 2 Ohms and 1000 watts at 1 Ohms. And it comes with a sweet 100 decibels of signal to noise ratio, which means smooth listening with little to no distortion. I'd definitely recommend this for someone who's looking to power their 12” kickers while getting more bang for their buck. You can wire it to 1Ohm to achieve maximum power without a hitch, and it has the capacity to pair really well with a wide assortment of speakers. 4GA wire inputs and and impressive gain adjustments make this a really worthy package. And the steel chassis makes this a very durable piece of equipment that can work in any environment and it performs well as a heat sink too. 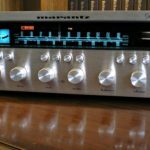 · I love the beautiful design of this amp, very clean lines with clearly visible channel inputs, and the design is not bad either. The packaging it comes in is also very nice. · It comes with a remote bass knob which allows you to control the amp from a distance. This is especially helpful when wanting to enjoy music while washing your car or packing for a trip, you can just turn down the volume or skip a song from a distance and it'll pick it up. · It's got impressive signal to noise ratio and minimum impedance that allow it to deliver unparalleled clean sound for your listening pleasure, and the subsonic filter is a sweet feature as well. · The price point. It's not often that you find excellent amps like this one at this price point, so kudos to CT Sounds for that one! · Comes with a mounting kit with screws and an external amp module with bass knob as mentioned. · The warranty is for the internal parts of the amp only, and doesn't offer any protection against damage to your speakers or subs while using the amp. This is pretty decent subwoofer mono-input amp with an impressive maximum power output of 1000 watts in 2Ohms. It can handle some of the most powerful subs without trouble, with an output capacity that delivers sharp notes, the quiet kick of a drum and deep bass with equal ease. The tuning is hands down first-class with subsonic filter and bass boost made to channel amazing tonal color. It also offers a signal to noise ratio of 76 decibels. Basically, signal to noise ratio is a measure of the sound quality of your speakers. So an amp with a higher signal to noise ratio will ensure that better sound quality emanates from your speakers. It comes at a pretty reasonable price, with some even saying that it's a steal, considering the features it comes with, not to mention the durability. Because it’s a mono-input amp, it doesn't come with the technological advancements that you'd find with multi-channel input amps, but that's okay as it's able to deliver a voluminous sound quality with ease. · I love the dynamic and sleek design on this, makes it look super neat anywhere you put it. And even though the controls are hidden behind the aluminium cover plates, they're still easy to access and operate. Plus it's very durable and can easily handle being mounted on a car trunk which has luggage and other stuff being constantly hauled on it. · Great tonal color with reliable sound output over time, even in rugged conditions. This baby can handle almost any environment you put it in. · It can work with any type of system that you pair it with, thanks to its intuitive signal sensing turn-on and speaker level inputs. · It comes with a 60 day money-back guarantee, in addition to the 1 year warranty, which protects you against any type of damage or malfunction that happens during that time frame. · Turning this up to the max on a continuous basis might compromise the quality and lead to malfunction. Some reviewers have complained about its incapacity to handle consistent high blast sound output. Guess there's still some room for improvement there. · This amp is susceptible to heating up on some car systems, although it works well on others, so this depends on your car model and what you're pairing it up with. That said, the quality here can definitely do with some improvement. 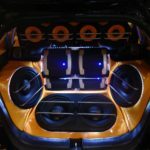 Most car sound systems usually come with a built-in amplifier, but adding an external one can help you achieve more bass and add more speakers. When shopping for an amplifier, it's important to find one that's compatible with your car, taking into consideration other important factors like the amount of power and number of channels you prefer. Here are some key factors to consider if you're on the market for a new car amplifier. The maximum amount of power that can be generated by each of your car's speakers is referred to as the root mean square (RMS). 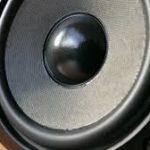 Knowing the RMS output of your speakers is the first thing you need before looking for an amp, because you'll have to buy one with at least 75% output capacity in relation to your car's speakers. For example, you'll get more sound from an amp with 175 watt output capacity if you have 150 watt speakers. Each car amp comes with a certain number of channels that allow you to connect your speakers, and the amp you get will depend on your preferences. 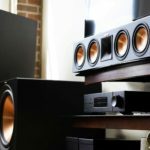 If you want to just add a subwoofer, then a single channel amp will suffice, while a multi-channel amp with two to six audio outputs will allow you to connect an entire sound system for a more immersive sound experience. The latter requires more space for setup but they deliver the most comprehensive sound. Last but not least are two channel amps, also known as stereo amps, and these only connect two speakers to the left and right for a slightly more pleasant sound. You'll want to make sure that your car amp comes with a warranty to protect you in the case of something unfortunate happening to it. Looking at the fine print is really important here, as warranties tend to differ. Try and get one with comprehensive cover that'll even protect you in the case of speaker damage. Of course, you'll have to have purchased your amp from an authorised dealer, otherwise there's no guarantee that the manufacturer will honor that warranty if it's not. Also, most warranties don't cover accidental damage or damage due to service done anywhere other than at a provider that's certified by the manufacturer. A car amp not only bumps up the sound emanating from your car stereo to your speakers, but it definitely synchronises the sound in a way that delivers a more harmonic and enjoyable experience. It's an awesome investment for your vehicle and there's nothing more important that making a sound investment, which is why it's so important to shop around for available options before making the purchase. The great thing about shopping online for amps or ordering from Amazon is that shipping is almost always super fast and they often run specials and flash sales on certain products that you wouldn’t normally come across in other places. All the amps featured on this list are available for purchase online which is extremely convenient.